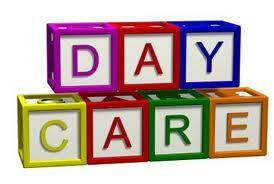 Are All Day Care Centers Regulated the Same in Alabama? The Simple Answer is “No”. In regards to licensing and regulations, Alabama law regulates day care centers that are associated with church ministries different from those that are not. A local day care center in Foley, called Kids Space Daycare, was denied a business license by the city. However the Mobile Press-Register reported that the city had no grounds to shut down the center because of its affiliation with a church. The City of Foley denied the Alabama child care center’s business license because of previous problems at two other facilities run by the same owner, Deborah Stokes. She claimed that her day care center complied with the law, and the children are well cared for. But according to Foley police, Stokes was arrested in Mobile County on charges of child endangerment that occurred at a facility she previously operated. She pled guilty to the charges and was ordered not to work in childcare for two years. Foley police responded to more than a dozen calls at Stokes’ previous facility, said the Press-Register reports. The Alabama Department of Human Resources’ minimum standards for day care centers “[do] not apply to preschool programs which are an integral part of a local church ministry or a religious nonprofit elementary school.” Kids Space Daycare was determined to be affiliated with Alpha and Omega Ministries; that association exempted the facility form regulations that many other Alabama day care centers are subject to. Parents in Alabama are concerned that safe, regulated day care centers will decrease as the number of unregulated centers increase. For more information on this topic, see In Alabama, Not All Daycare is Regulated the Same.